This survey addresses the question of whether strong legal enforcement crowds out or in the amount of trust in a society. 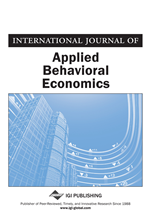 The author reviews the empirical studies in the literature on macroeconomics, inter-firm cooperation and laboratory experiments, finding that mandatory legal rules, especially formal contracts, normally undermine trust except when they are perceived as legitimate, or there are no strong social norms of fairness (i.e. the population in a society is considerably heterogeneous), or the environment in which repeated commercial relationships take place becomes highly uncertain. Interpersonal trust is an essential feature of social life, which pervades friendship relations, family relations, and commercial relations. During the past decades, trust has received widespread attention across disciplines,11 and researchers have shared consensus on the importance of trust in the conduct of human affairs. Indeed, trust is the keystone for successful economic development. Nobel laureate economist Kenneth Arrow (1972, p.357) has emphasized that “virtually every commercial transaction has within itself an element of trust,” and that “much of the economic backwardness in the world can be explained by the lack of mutual confidence.” A growing body of literature has revealed that aggregate measures of trust at the country level are positively correlated with important economic variables such as the GDP growth, the provision of public goods, or the size of firms. Knack and Keefer (1997) find positive correlations between a country’s average annual GDP and a measure of trust from the World Values Survey for a sample of 29 market economies between 1980 and 1992. Within a specific country - the U.S., Dincer and Uslaner (2010) find a robust relationship between trust and economic growth across American states. Recently, a series of studies conducted by Guiso and his coauthors provide fruitful microeconomic evidence on the role of trust in economic activities. Guiso et al. (2004, 2008a) show that a larger share of trusting people is positively correlated with the development of financial market across countries. Less trustful individuals are less likely to participate in stock market and, conditional on buying stock, they purchase less, which limits the size of a country’s stock market. Guiso et al. (2009) use data on bilateral trust between European countries, and find that higher bilateral trust tends to breed more trade between two countries. In addition, they also find that the effect is stronger for more trust-intensive goods. While there is a clear consensus in the literature that trust is crucial to economic success, the question of how a society achieves a high level of trust is less clear. In closed communities or specific industries, high trust and trustworthiness levels are easily self-sustained between parties without legal interventions because long-term payoffs conditional on cooperation within the existing relationship exceed gains from short-term defection. In his seminal study of agreements between Wisconsin companies, Macaulay (1963, 1985) finds that many agreements are non-contractual, with no legal enforcement. Parties involved trust and honor each other because they want to sustain their long-term business relationship. By contrast, the problem of trust in others is relatively pronounced in large, anonymous societies, where well-functioning and impartial enforcement of contracts is highly demanded in order to promote mutually advantageous transactions. As Nobel laureate economic historian Douglass North argues, the ability of societies to develop effective, low-cost enforcement of contracts is the most important source of national prosperity (North, 1990). But, how does legal rules, in particular strong contract enforcement, affect the levels of trust and trustworthiness in a society? How do law and trust interact to sustain economic exchange? Our research seeks to address the question of whether strong contract enforcement crowds out or in the amount of trust in an economy for the purposes of facilitating efficient economic transactions and economic growth. After reviewing the existing theoretical and empirical studies on law and trust, we conclude that mandatory legal rules (i.e. formal contracts or regulations) normally supersede trust except when they are perceived as legitimate, or there are no strong social norms of fairness (i.e. the population in a society is exceedingly heterogeneous), or the environment in which repeated commercial relationships take place becomes highly uncertain.